Need a general liability insurance quote? Let us connect you with three agents today! To save money on your towing general liability insurance, you need to shop around. We bring 3 agents to you to compete for your business. Just fill out our free online form to get started. Bodily Injury – A customer visits your garage and falls over, completely by accident. Legally speaking, you are liabile for the injury. Bodily injury covers any subsequent claims and pays for all related medical expenses. Personal Injury – Your employee, the one with the big mouth, says something damaging about one of your customers or clients. The customer hears about the unflattering remark and sues for slander. Personal injury covers claims of slander and libel. Most polices pay for attorney to defend you in court if it gets that far. The regularity with which you pay your premiums should be up to you to decide. You can opt to pay yearly or quarterly or—for a slightly higher price—month to month. Your plan should reflect the needs of your shop. Some towing companies have customers flowing in and out of their shops all day long. Others hardly see customers on their property at all. You’ll want a plan tailored to fit your business. When something happens, you need your insurance company to act right away. You want a company with a 24-hour claims service that will defend you at the drop of a hat. A cheap insurance plan with countless loopholes in it is functionally useless. You need a plan that covers you no matter what. Sure, you can save a few dollars and get a low-cost plan, but it might not protect you in the long run. If you can get your auto insurance bundled in with your general liability insurance, do it! Deal with as few insurance companies as possible to save some money. 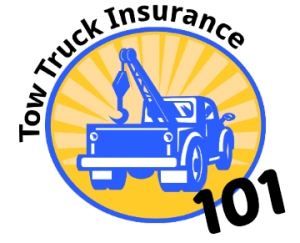 Towing businesses face a lot of thorny issues that most other businesses never have to worry about. That’s because most businesses aren’t trusted with caring for one of their customer’s most valueable assets, their car. It’s vital to find an insurance company that specializes in insuring towing businesses. To find and compare insurance providers who specialize in towing, request a quote through our quote form. 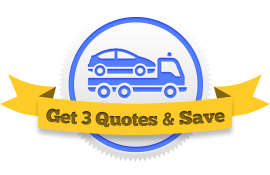 We’ll get you in touch with three towing insurance agents right now for free. It’s the best way to get started hunting for general liability insurance.